This article was originally published by Costa Rica Soccer Tours and is republished with their permission. Visit their Inside Costa Rica blog for more reflections on the Costa Rican international soccer scene. In 1990, Costa Rica’s Men’s National Team took to the field in Italy for the World Cup – and became the first Central American team ever to make it past the group phase. In this match against Scotland, at the 1:00 mark, Juan Cayasso converts a pass off the cleats of Claudio Jara and finds the back of the net. Listen to the joy in the voice of famed announcer Pilo Obando and imagine an entire nation rising to its feet back home. Want to put a smile on any Costa Rican’s face? Just bring up the Aztecazo, Costa Rica’s World Cup Qualifying match against Mexico. While Mexico opened the scoring, Rolando Fonseca’s free kick found the back of the net (around 1:25 in this video), followed by Hernán Medford, cleaning up a rebound from a safe (around 1:40). This David-and-Goliath moment was the first time Mexico had ever lost a World Cup qualifying match at the Azteca Stadium. Keylor Navas is now practically the patron saint of all the land, and is a household name for many soccer-loving families around the globe thanks to his starring role between the posts for Real Madrid. But one moment at the 2014 World Cup when he caught the world’s eye – and helped Costa Rica make history – was when he made this unbelievable save on a penalty kick from Theofanis Gekas, of Greece. The save, during the penalty shoot-off, set up our Greatest Moment #5. What’s that – a penalty kick on a list of the greatest plays? You’ll understand once you watch this video (which may induce tears. Not that we would know. Sniff). Watch as fans around the world tune in to see Michael Umaña take his turn in the Costa Rica-Greece penalty shootout. The result of his kick would determine whether Costa Rica made history, and defy all the odds, by making it to the World Cup quarterfinals. 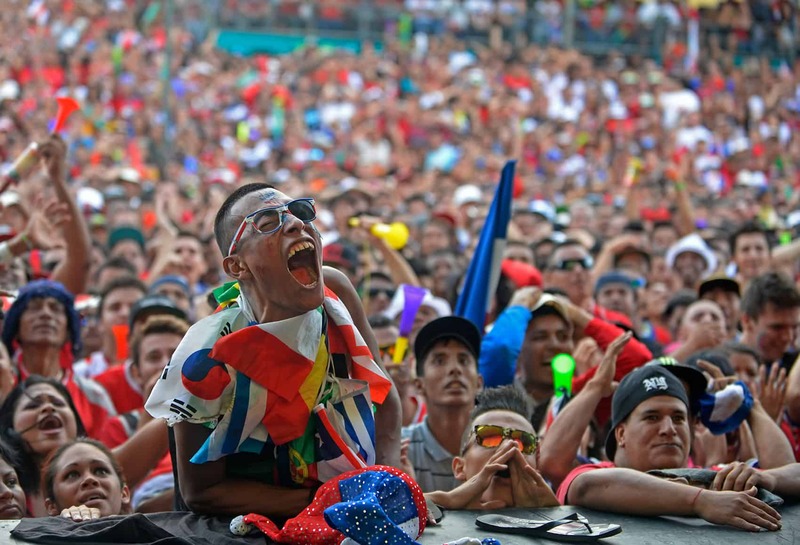 Ahh – it’s good to be a soccer fan, and it’s great to be a soccer fan in Costa Rica. What’s your favorite Costa Rican soccer moment? Share it with us.